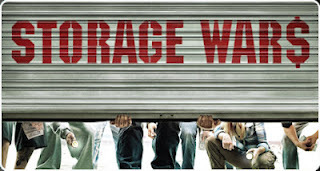 ...we've started watching the A&E show "Storage Wars" and unfortunately enjoy it. It's so bizarre to me that people spend their time and money on this stuff! ...I love movie trailers. I visit Apple Trailers at least 3 times a week to see if any new ones are posted that I would want to watch. At least 3 times a week... I cannot explain this desire, but sadly, it does exist. ...I'm re-reading Catching Fire from the Hunger Games trilogy and have decided, I would die incredibly fast if I had to be a tribute. I can be a tough person if I have to be, but I don't so much consider myself a fighter and in that situation, you have no choice. ...life is going by too fast and I don't like it. ...I really do plan on having a real post later this week, but last week at work exhausted my brain! OMG I almost like movie trailers more than the movie. That's weird, right? I would be the first to die in the Hunger Games. No question. Well, I have a puppy but baby has been on the brain for a few years now. It's funny because the closer a baby seems to get to reality, the more freaked out I get about it! I keep talking myself out of having one. Storage Wars is crazy!! And those people are even CRAZIER! I think I have only seen part of that show and it did look good! It's amazing how addicting some shows can be. Specially some that don't seem like they would be. haha i love that you can't decide if you have puppy fever or baby fever. 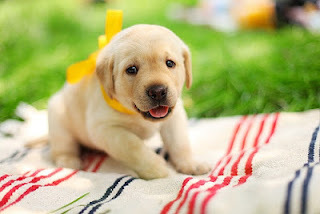 I definitely have puppy fever....and man fever ;) I need one of those to have baby fever right? right! I'm so glad you came and commented on one of my posts!! I'm super pumped to read your blog...so cute! And I love the little theme of this post! I definitely have baby fever, and I'm not even married yet! Better slow down, huh? Happy weekend to you!